Nice pale-yellow colour with hints of green. Fine and persistent foam. Fruity, delicate, with aromas of peach, apple and pear. Fresh and lively attack, round on the middle palate. The aftertaste is long with fruity and floral notes. Easy drinking wine, fresh and pleasant. Very good as an aperitif. Bright green-straw; incorporates 45 different base wine parcels; the usual balance and length, tangy chardonnay prevailing over the softer pinot; some brioche/nougat notes; long, clean finish. Like all the sparkling wines, is a methode traditionelle. Diam. 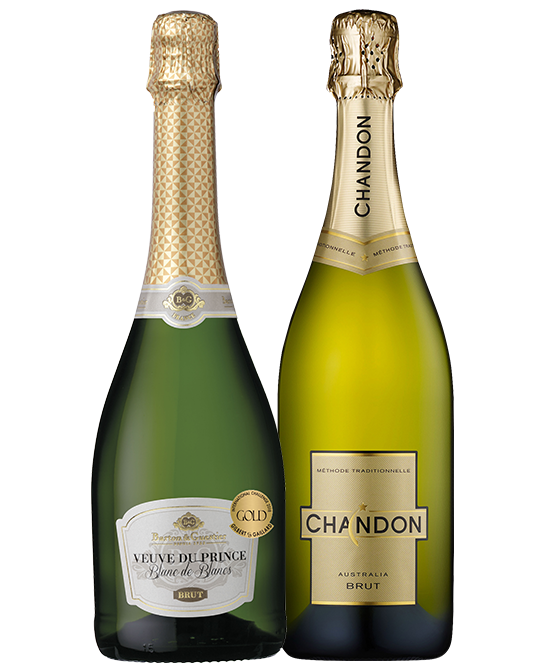 Chandon & Veuve Mixed Dozen is rated 4.0 out of 5 by 4. Rated 4 out of 5 by redheavy from Great bubbles at an excellent price! Both wonderful every day bubbles - because isn't every day a bubbles day?